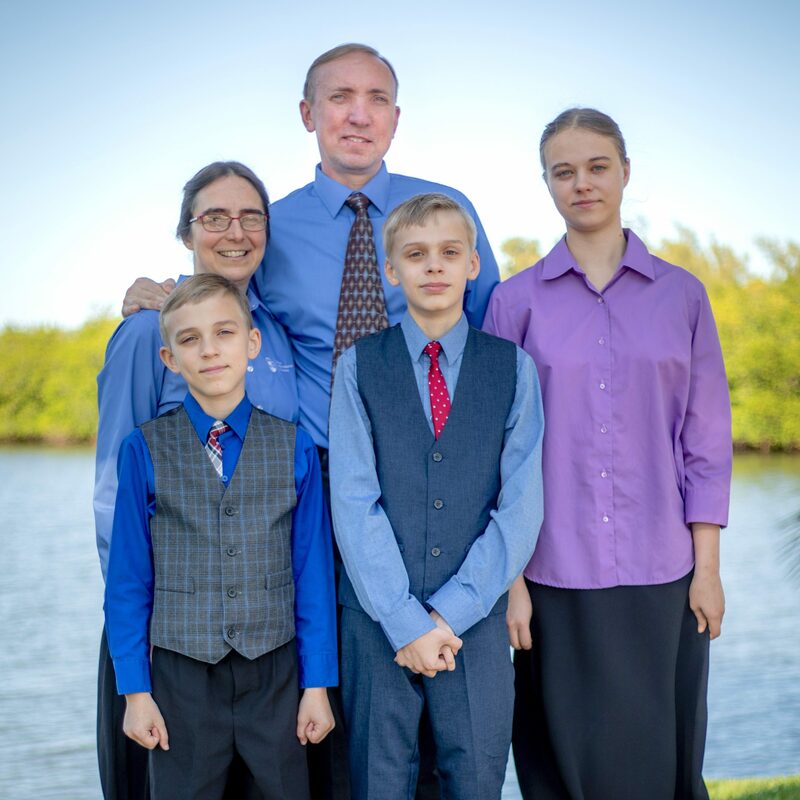 Valera and Maude Motovilov along with their three children—Zarina, Alexander, and Nicolas—are HIM field missionaries under appointment to Czech Republic in August 2019. The Motovilovs have been working with HIM since 2006. They first spent nine years in Russia pioneering a new work right in Valera’s hometown. Then in 2015 they answered a call for help from the field of South Africa to teach at an ACE school in Ladybrand. Shortly after their arrival in Africa, the school had to close which prompted them to start a new work focused on teaching the Bible to children who lived in that town. After they spent three years in South Africa, God closed the doors for them to stay there legally. As an answer to prayer, Valera and Maude got in touch with some of the church leaders in Czech Republic. God was opening a new door, promising many exciting opportunities for ministry in a country that, just like Russia in the past, suffers from the anti-God ideology of communism. Czech Republic is the third most atheistic country in the world. There are more than 154,000 Russian-speaking people living in Czech Republic with 70,000 of them living in Prague. Among many possibilities, the Motovilovs want to help the young people, especially university students, with learning the English language while using this as an opportunity to teach them about God and His plan of salvation. Reaching out to the Russian-speaking people with the gospel will also be one of their priorities. Thank you for supporting the Motovilovs as they minister in the Czech Republic! Click Here to Read an Update of How God Miraculously Helped the Motovilovs on their Move.